My obsession with gingham is so real! Hopefully you love the gingham trend as much as I do because I feel like this is the 100th time I've shared a gingham look this summer! These adorable black and white gingham shorts are from Old Navy and my bow tank is an old Forever 21 item I purchased back in middle school. 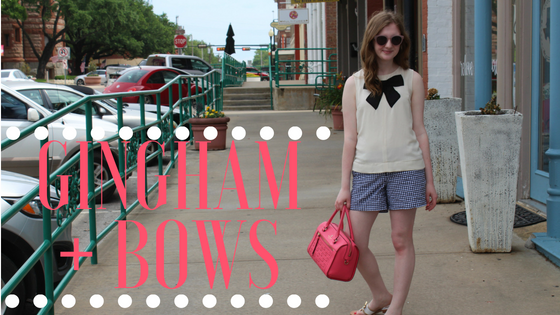 The bow tank is sold out but I did find a few listings on Poshmark if you are dying to have it.